I've removed any specific references to tonight's episode for those who haven't watched it yet. James provides context to the questions in his answers, you will only see his answers below. James Duff Welcome everyone. Tony Denison - who we call Lt. Andy Flynn - joins us for his first Facebook chat this season. James Duff Stefanie W mentions that Sharon referred to her's and Flynn's "dating" as in the "old-fashioned" sense of that word and what does Flynn think about that? Tony has two answers. 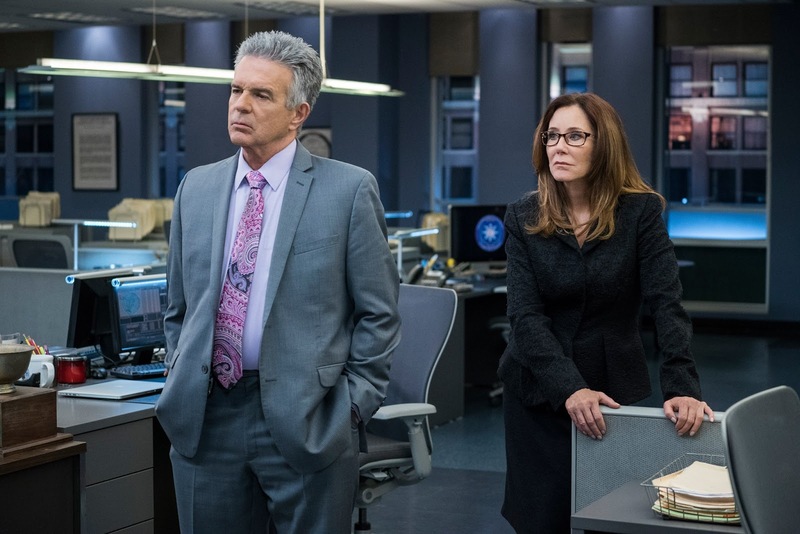 Flynn wishes things could move as fast as Provenza and Patrice, but knows not to push his luck. And one of the things Flynn likes about Sharon is her emotional discipline. She wants to do the right thing. So. He's living with the old-fashioned dating because it was better than not dating at all! I think this is the organic way for it to go, too. James Duff Evelyn W asks why Rusty doesn't call Sharon "Mom." He is growing into the idea. Remember, his other mother is called Sharon, too. There is a journey between these two very different women. James Duff Ilona Arcari asks if we have been picked up for next season. The answer is no. But we have a lot of confidence that the network will eventually want to have us back. I would not register their tardiness as anything but new management getting its battle order in position. James Duff Deborah Lacy hey, Deborah! Lovely to hear from you again. She wants to know how Tony went from playing the renegade to dating the boss. He started out being irritated with Sharon, but she proved herself to him. And he rethought her. Flynn watched her figure out something in the morgue in the first episode and realized she was a good team player. Tony says Flynn was tense, and Sharon ignored how mad he was and concentrated on the problem and that was when his character started to rethink Sharon. James Duff Tony sends out a collective thank you to everyone saying nice things about him, too! James Duff Lauren G asks if Fritz is still having heart problems. The answer is yes, but he doesn't have to wear that vest anymore! 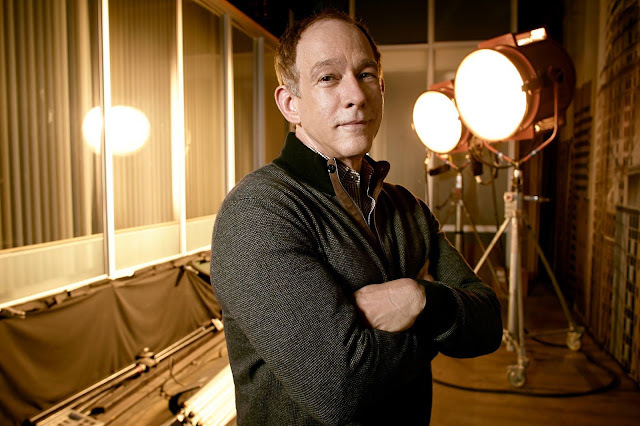 James Duff Kathy D asks if his character has more opportunity for development in Major Crimes than in The Closer. Tony says, "Of course!" His character has three years on The Closer. And he's had lots of scripts that centered on Flynn, and it's been pretty wonderful. He loves all the new twists and tangles. And the scene he has with Rusty at the end of the night is really, really, really interesting. It's the first really big scene with Graham in a couple of years. And as Tony, he loved having the opportunity to work so closely with Graham again. I think all the actors love their scenes with Graham. And the one at the end of this show is especially good. James Duff Cassandra Gramegna asks for hints about our winter season. We come back in November and you will see......Andy and Sharon......in the condo. Together. Having breakfast. James Duff Tony says that in all the years he's done the show, he's never received a script that he felt was not an attempt to bat the ball out of the park. It's true we try for home runs. And we don't always make it. But we do try. Wanting to do the right thing vastly increases the odds that you will. James Duff Tony says, "You will not see him and Graham in any Andy of Mayberry scenes, walking down to the fishing hole with poles on their shoulders. Whistling. James Duff Shauna P B asks if Rusty is going to be in danger this season. Technically, Rusty lives in danger as long as Stroh is at large. But why would Storh come back? Since he's made a clean getaway? That's the question Rusty asks, and the question that lets him move on with his life.In truth, we all live in the presence of death all the time. Everyone has a different way of dealing with it. James Duff Tony wanted me to tell you when you see him and Graham making nice, it will mean all is right with the world. They are good friends off the set, but everyone in the cast gets on very well. James Duff Stefanie W asks if Tony will be doing a selfie with me tonight. And the answer is no. Because I demanded Tony leave his phone in the trailer. James Duff Tony and I, of course, go way, way back, as watchers of this show and fans are well aware. We spent Christmas together the year Love, Actually came out, playing Yahtzee for three hours. Triple Yahtzee. And we've played a lot of Poker Games together. And too many lunches to count. James Duff Barbara asks if the audience has missed Flynn and Sharon's first kiss. I would ask if they are to have no privacy at all? There will be a kiss coming up this winter. Very early. I promise. You will see them kiss, yes. But they are not having any more children!!!! James Duff Tony says the best thing about Flynn's relationship with Sharon, is that he has someone to care about, and that he gets to openly admire her professionally and personally in a way he could not before. But they will have to learn their public lives. Tony adds that acting like he's love with Mary isn't really hard. James Duff Eloise G S asks if the ex-wife of the victim was played by Kyra Sedgwick tonight! No! But they do look a lot alike. I didn't realize it until I saw her on film. She doesn't look that much like Kyra in person. James Duff Tony wants to remind people that the ending of the episode proves that you ought to be careful what you wish for. Because demanding the truth be uncovered does not always lead to happiness. And tonight, he's going to act on that knowledge. And Flynn is going to respond. And Flynn's response will echo into our finale. James Duff Stefanie W who I'm giving another question since she's live from Germany, asks where Flynn's toothpick went. The network axed it! Not me! It's one of the very few notes I ever got from TNT, and they wanted me to lose Flynn's toothpick. So I did. I actually loved the toothpick myself, because I knew Tony had quit smoking, and how hard that was, and how useful the toothpick was in that process. James Duff I want to say a word about tonight's mystery before we end it and conclude.There is a limit to how deeply into perversity we can go on basic cable. What I can't talk about honestly, I prefer not to talk about at all. James Duff Kathy D asks about what we call the Flynn & Provenza episodes, where the two veteran detectives find themselves on the wrong side the rules. Tony loves these episodes and says they give him and G.W. a chance to play as a team. And take turns, each getting a chance to play Abbot, and then a chance to play Costello, and then back to Abbot again. But they are usually a little more grounded than that. James Duff I think the marriage gone wrong episode this season was one of their best, though I also love the Dodger game in season two of The Closer. Oh, and the flight attendants. that we have this audience to play for. You can see other Major Crimes Facebook Chat recaps here.